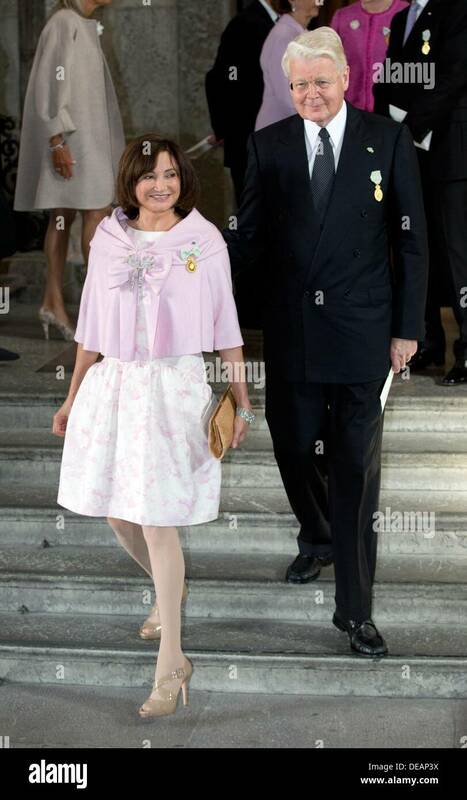 Dorrit Moussaieff (Hebrew: דורית מוסאיוף‎, born 12 January 1950) is an Israeli jewellery designer, editor, and businesswoman who was the First Lady of Iceland from 2003 to 2016. She became engaged to President Ólafur Ragnar Grímsson in 2000 and they were married on Grímsson's 60th birthday in 2003. Born in Israel, she was raised in the United Kingdom from the age of 13. Dorrit Moussaieff was born in Jerusalem, Israel. Her father, Shlomo Moussaieff, was from a wealthy Bukharian Jewish family from Bukhara, Uzbekistan, part of a long dynasty of jewellers. Dorrit is the great granddaughter of Rabbi Shlomo Moussaieff. Ancestors of hers are said to have woven the robe of Genghis Khan. Her great grandmother, Esther Gaonoff, was a descendant of Yosef Maimon. Her mother, Alisa is an Austrian Jew of Ashkenazi heritage, but Dorrit identifies more with the Bukharian culture and was raised by her father's large family. Moussaieff was born and raised in the Bukharan Quarter of Jerusalem. At thirteen, she moved with her family to London. She suffered from dyslexia and was home-schooled. In addition to English and Hebrew, she also speaks German, French, and Icelandic. Her first marriage to Neil Zarach, a designer, ended in divorce. In 2003, she married the President of Iceland, Ólafur Ragnar Grímsson, on his birthday, 14 May, following an engagement of three years. Moussaieff describes herself as "religious in the soul," and continues to observe Jewish rituals, such as lighting Hanukkah candles. As a child, Moussaieff spent a lot of time in her family's jewellery store on Hilton Park Lane in London, and went on to become a successful jewellery designer. Other business ventures in which she has been involved are the construction of an office building at Canary Wharf, London and a tourism project in Northern Cyprus. Moussaieff is a contributing editor to the British society magazine Tatler. 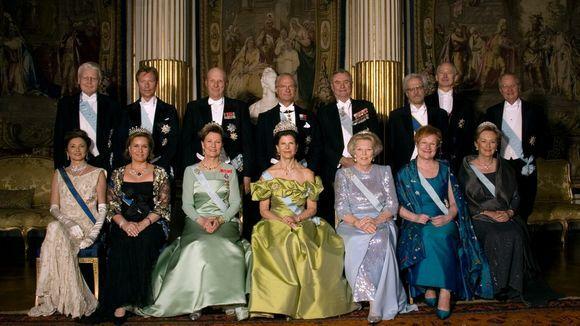 In 2003, Moussaieff married President Ólafur Ragnar Grímsson on his 60th birthday. She has helped present Icelandic culture abroad, promoted Icelandic artists and identified foreign markets for Icelandic products. She is also active in raising money for disabled children. In May 2006, while visiting Israel, Moussaieff was detained at Ben Gurion International Airport after arguing with security personnel who refused to acknowledge her British passport and told her that she was obliged by Israeli law to enter and exit the country using her Israeli passport. The media related the confrontation as a diplomatic incident. The Israeli Embassy in Norway, which handles diplomatic relations with Iceland, expressed regret over the incident and restated the law that Israeli citizens must carry Israeli passports when in the country. Moussaieff was listed third on the Harper's Magazine List of the Most Connected People in Britain. 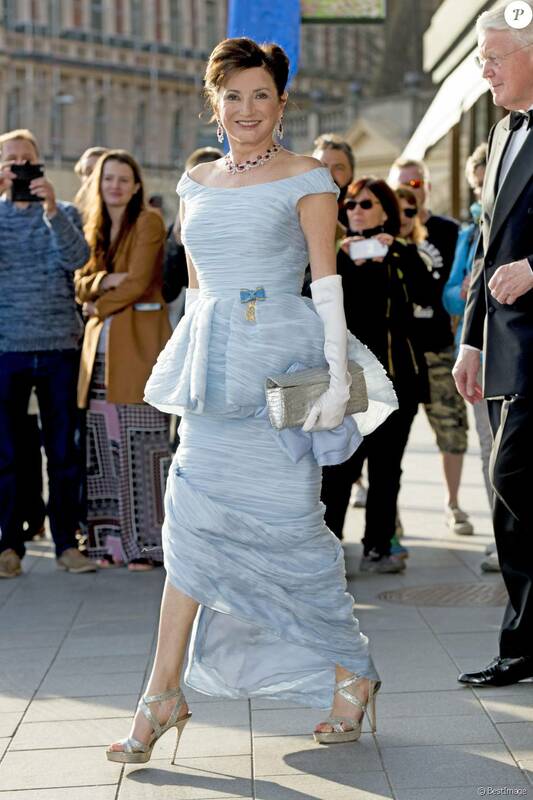 A local magazine in Reykjavík chose her as one of the best-dressed women in Iceland. Moussaieff was also named Woman of 2006 by the popular Icelandic glossy magazine Nýtt Líf. ^ a b c d e f g "Haaretz - Israel News". Retrieved 15 June 2016. ^ name="Ísland er stórasta land í heimi"
^ "Dorrit Moussaieff". Archived from the original on 13 April 2016. Retrieved 15 June 2016. ^ "Shlomomoussaieff". Retrieved 15 June 2016. ^ "Dorrit Moussaieff". Retrieved 15 June 2016. ^ "Iceland president's wife delayed at Ben-Gurion Airport". Retrieved 15 June 2016. ^ "News Archives". Retrieved 15 June 2016. ^ "The Reykjavik Grapevine - Your essential guide to life, travel and entertainment in Iceland". Retrieved 15 June 2016.